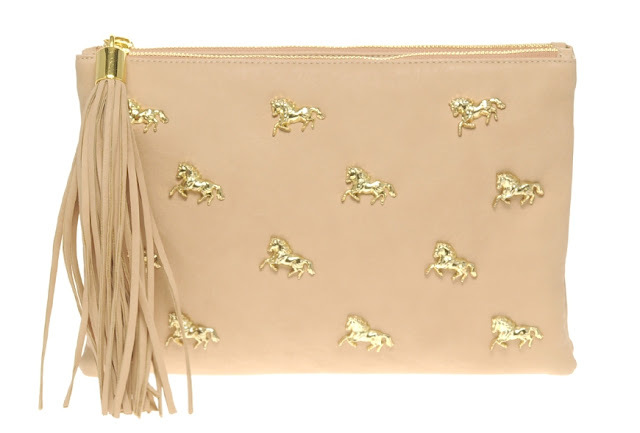 This horse clutch is incredibly cute for SMU girls. You don't have to be an SMU Mustang to rock this clutch, it's that cute. But, if you are, I would definitely pick this up for game days or strutting your stuff around campus.